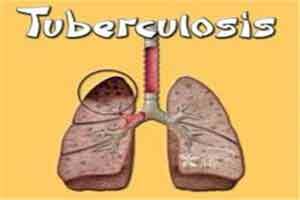 Kolkata: The role of advanced diagnostics in detecting genital tuberculosis, which is linked to infertility in humans, was extremely important, an expert said. A recent study by the Indian Journal of Medical Research through a survey stated that the number of women with genital tuberculosis in India increased to 30 percent in 2015 from 19 percent in 2011. For women experiencing problems in conceiving, diagnosis was a crucial factor and timely treatment can prevent complications, the expert said. “On a scale of ten, the importance of advanced techniques is nine. The technologies are available in India but mere availability is not enough,” Anjan Mukherjee, a microbiology specialist at AIIMS, said here. “We must train ourselves how to avail of the technologies and to make optimal use… like what sample to take, how to send the sample, what to expect out of the report, what to do after the report comes,” Mukherjee explained. Techniques like polymerase chain reaction (PCR) and its modifications as well as systems such as MGIT (fully automatic system for detection) have become effective tools to zero-in on the tuberculosis bacteria. “In addition to detection, it is also extremely important to know which drug will be effective,” said Mukherjee, a consultant microbiologist and infection control physician. The expert said a mixed bag of techniques from biopsy to advanced molecular diagnostics as well as a team of specialists from different backgrounds (gynaecologists, microbiologists, physicians etc) is essential to treat and manage the disease. Different aspects of genital tuberculosis, including diagnostics will be discussed at a day-long workshop on January 24 organised by Srishti infertility clinic.